The rites and rituals of Witchcraft are life-changing experiences, but they are also steeped in mystery. Transformative Witchcraft delves into some of the most persistent mysteries of the Craft and provides insightful guidance for raising and directing magickal energy in accordance with your desires. Jason Mankey distills his decades of experience as he shares practical wisdom for raising a cone of power and detailed insights into creating powerful rituals for dedications, initiations, and elevations. In his chapter on drawing down the moon, he provides a vivid exploration of invocation and the subtle nuances in preparation and execution that can take the ritual to its most magisterial heights. This book also discusses one of the most mysterious of all the magickal rituals—the Great Rite. Whether you're interested in the Great Rite in token or in truth, there is much to be gleaned from the experiences related here on a topic that is frequently treated as taboo in much of the magickal literature. Direct experience with the divine and the potent energies of magick are defining experiences in a life of Witchcraft. 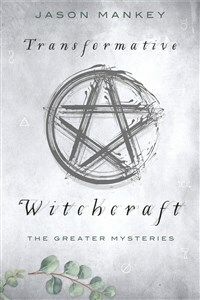 Filled with compelling personal stories, a fascinating brief history of modern Wicca and Witchcraft, striking original rituals, and a wealth of tips and techniques, this book provides the beginning or intermediate Witch with the practical and theoretical keys they need to unlock the mysteries of the Craft. Jason Mankey writes online at Patheos Pagan and is a contributor for the magazine Witches & Pagans. He talks about rock and roll, Pagan deities, and various aspects of Pagan history at festivals across North America. Jason is the author of The Witch's Athame and The Witch's Book of Shadows and the coauthor of The Witch's Altar. He lives in California with his wife Ari and can be found online at patheos.com/blogs/panmankey.